Swapping out a wreath on my front door is my favorite thing to do for all the holidays and the changing of seasons! It’s the first thing people see when they enter your home and no matter what else you have put together in your home for the holidays, a wreath makes a house look complete! 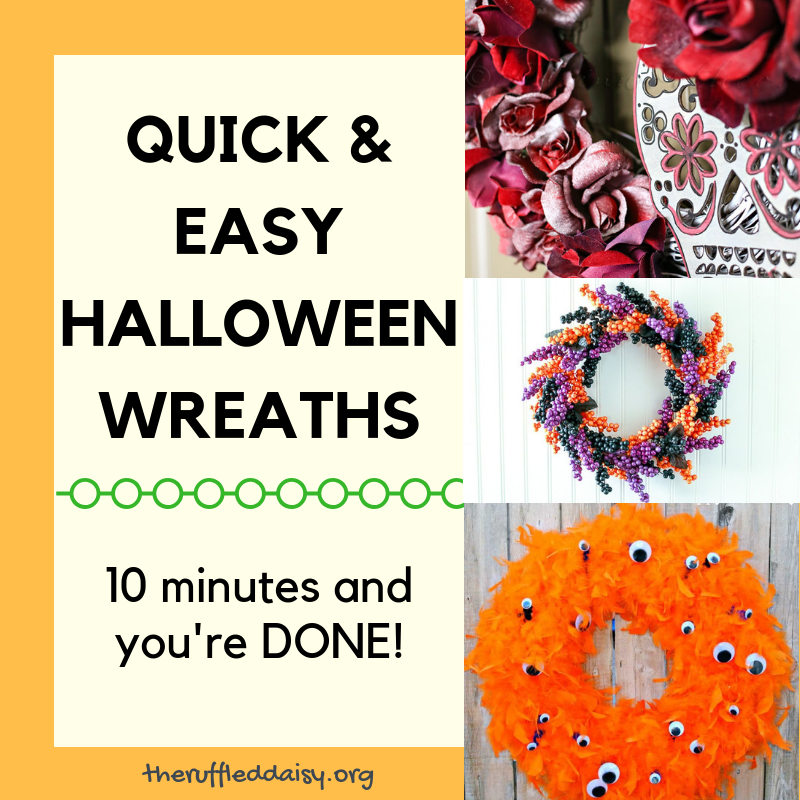 I’ve pulled together some of my favorite HALLOWEEN wreaths for you to pick and choose which to make for yourself this year! I’ve included links for you to hop on over and check out the details on the one you pick! 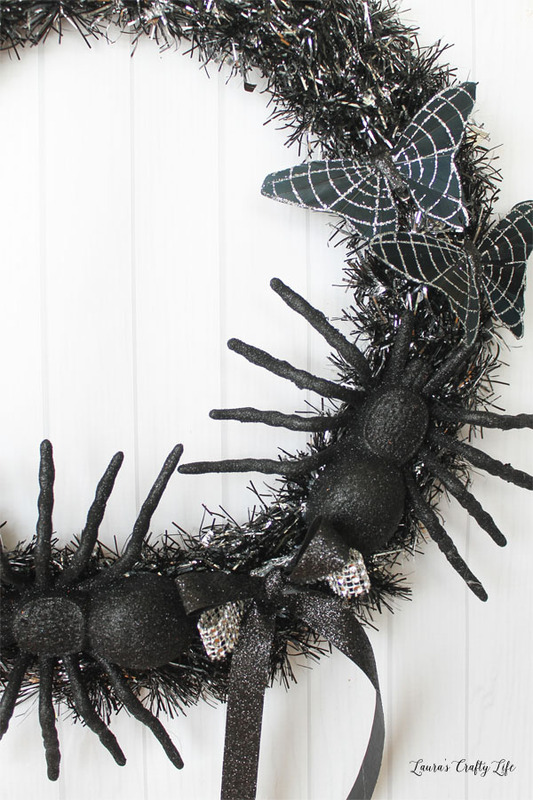 If a Halloween wreath has glitter, you can bet it’s gonna make my list! 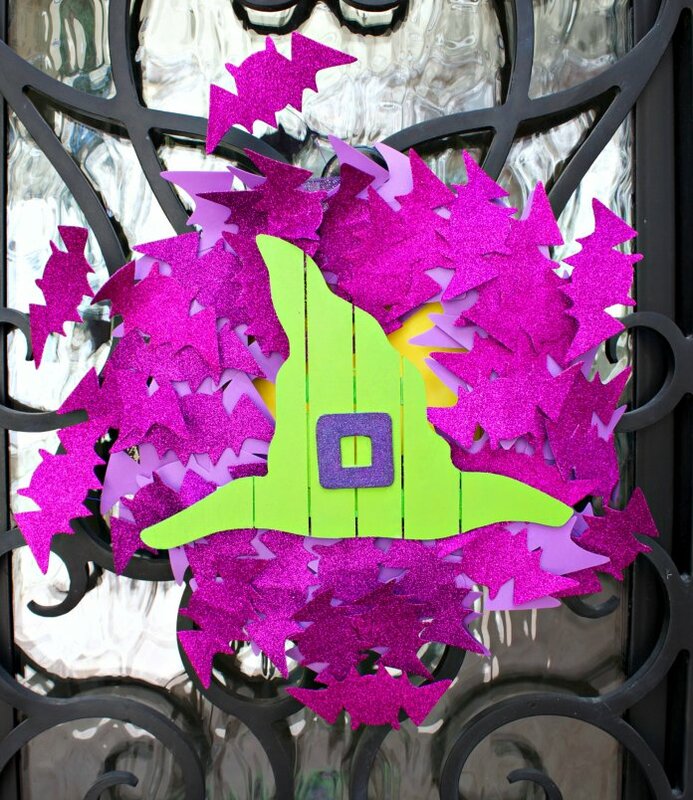 This BAT WREATH from Morena’s Corner is easy on the pocketbook and stunning on a door!! 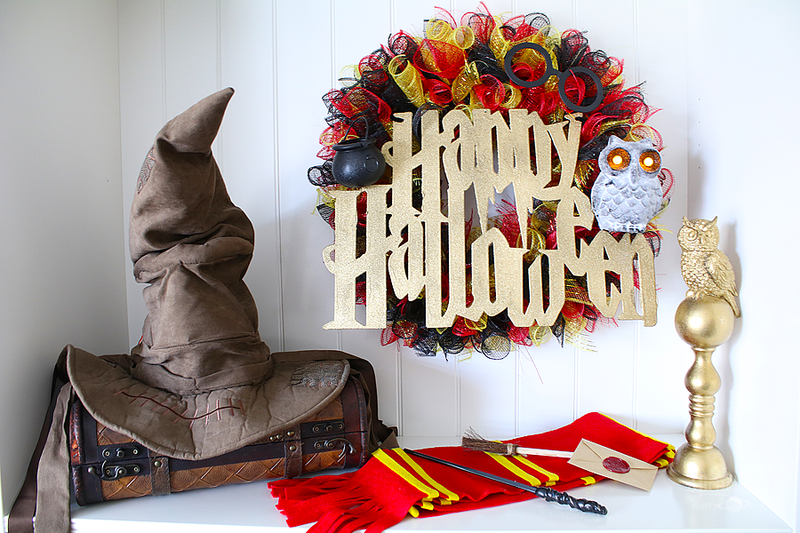 If you’re a Harry Potter fan then you’re going to love Michelle’s Party Plan’s ADORABLE Harry Potter Wreath! I know my daughter would LOVE this one! 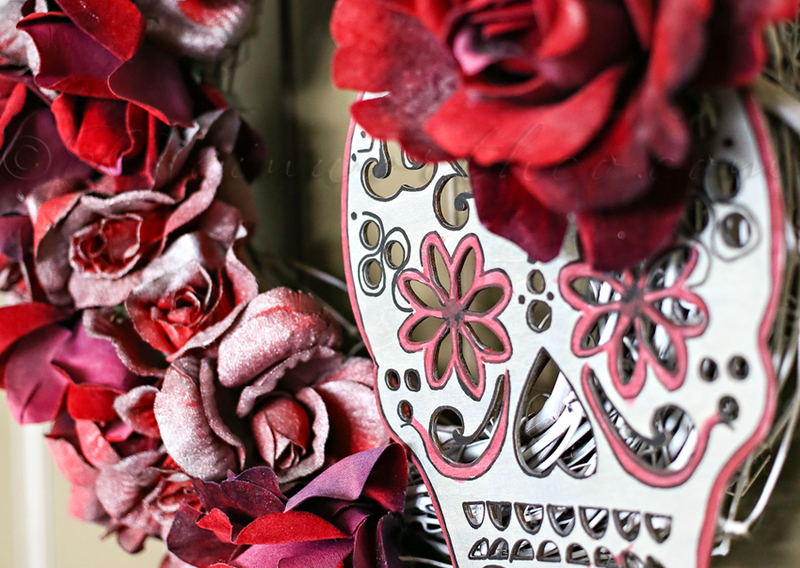 Gina with Kleinworth & Co created the cutest Sugar Skull Wreath that would be perfect for any Halloween Party! I met Gina in Utah when I went to SNAP a couple years ago and let me tell you, this girl is amazing!! You’re gonna want to snoop all over her site! Her goodies are to die for! I’m sharing TWO of Cheryl’s wreaths with you because they are really the easiest ever which mean ANYONE can create them! 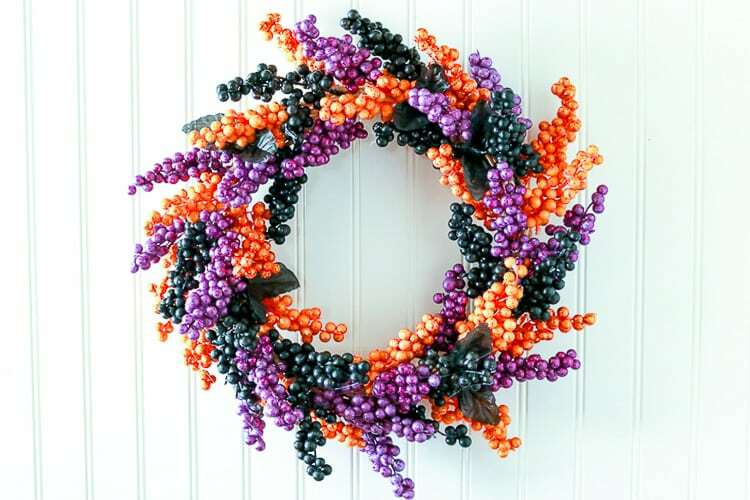 Her Berry Halloween Wreath is so simple yet stunning! I LOVE the bright colors! 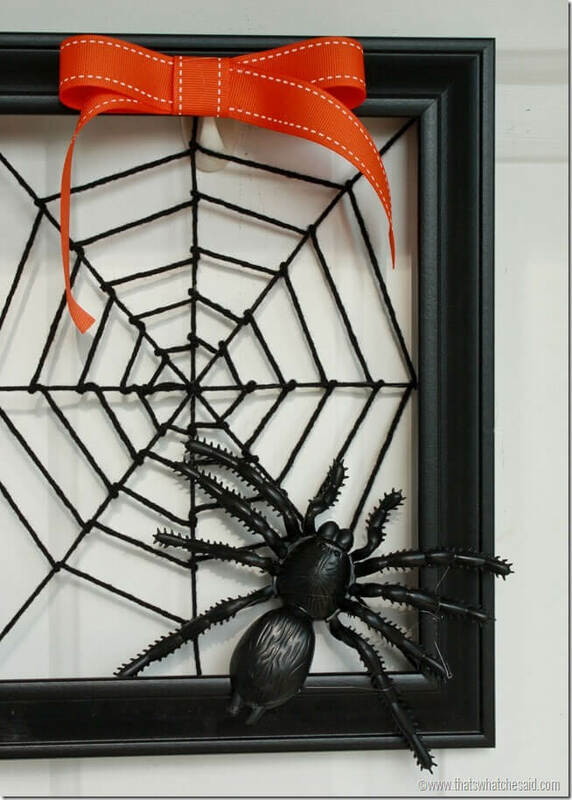 And then her Spider Wreath made out of a frame is so cute! Seriously ladies, if you’re not a crafter, try one of these out! Kara over at Happy Go Lucky is showing you how to make a Halloween Monster Wreath that even the kiddos will love helping you create! Feathers and googling eyes!! That’s it! 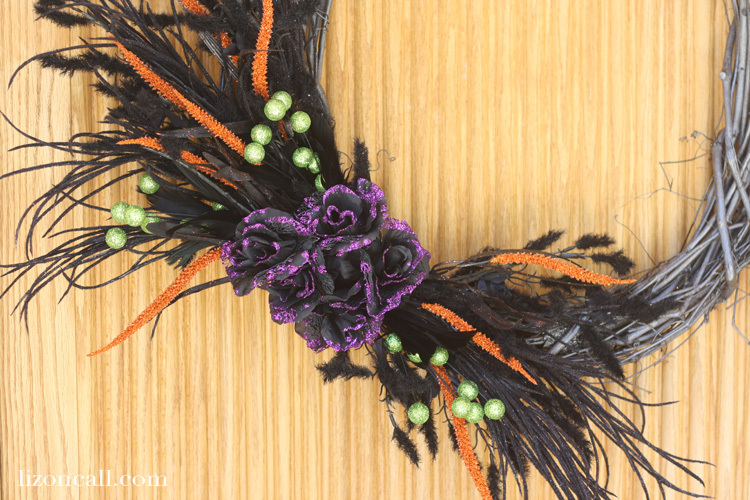 You have got to check out Emily at Grace and Good Eats DIY Halloween Wreath! She takes ALL pre-made pieces and creates a STUNNING wreath! All you need for this wreath is a little bit of hot glue! 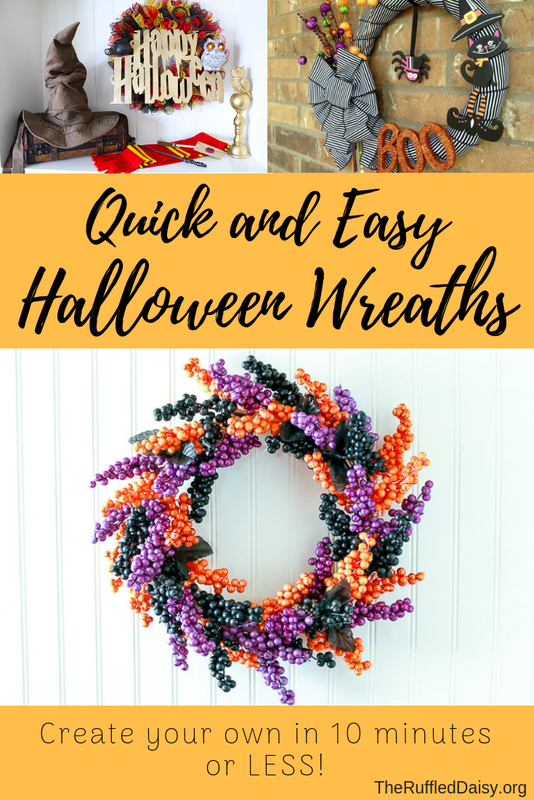 If you have an old grapevine wreath lying around, Liz at Liz on Call walks you through the SIMPLE steps of created an AMAZING Halloween Wreath! Simple and to the point. I love that it isn’t overdone with accent pieces! What did I tell you! Simple and CUTE wreaths that are sure to look amazing on your front door!! 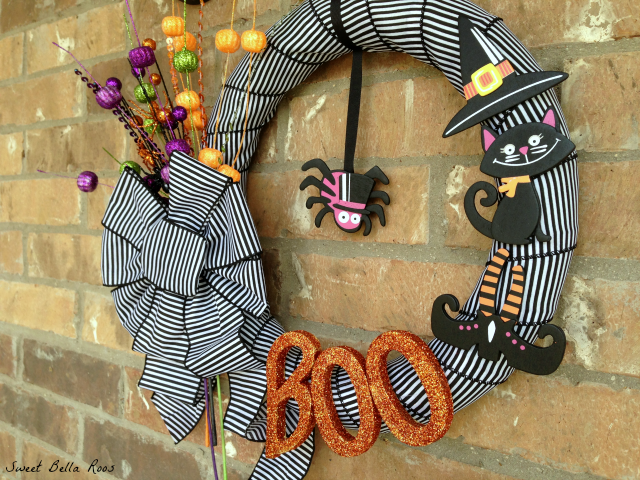 Have you created a Halloween wreath yet for the season? I’d love to know which one of these is your favorites that you’ll be adding to your to-do list.